I've always been fairly certain Mary will die. But my opinion of how she should die keeps changing. Proud President and Founder of the OSAJ. "Anyone who takes himself too seriously always runs the risk of looking ridiculous; anyone who can consistently laugh at himself does not". I ship it harder than Mrs. Hudson. In Series 4 I want to see John shirtless. Shirtless John would makeme happy. I would prefer to see shirtless John too. I cannot live without brainwork. What else is there to live for? Stand at the window there. Was there ever such a dreary, dismal, unprofitable world? See how the yellow fog swirls down the street and drifts across the dun-coloured houses. What could be more hopelessly prosaic and material? What is the use of having powers, Doctor, when one has no field upon which to exert them? I entirely agree that Sherlock needs to be about Sherlock and John at its heart; that is the iconic centrepiece that pulls us in, and Moftiss have to get us back there if it is to continue to be Sherlock. But they have to do it in a vaguely plausible way, and John plus Mary plus baby in the suburbs isn't plausible, just as John being a GP staring at people's bunions isn't plausible, if we are going to get the thrill of the Game is On! I am sure that when John opened his front door at the beginning of HLV he really did expect to see Sherlock there, needing his help to foil some dastardly villain or another, and that would have been wonderful for John, and for Sherlock, and for us. Instead it was the neighbour, and although we got Billy from canon in a somewhat weird way, I don't want Sherlock to be lonely, just as I don't want John isolated because of 'that wife of his'. To put it bluntly...in an ideal world, we would see Mary killed off within the first episode of Series 4, in order to get the old dynamic back? I loved John in series 3, he had some wonderful lines and he showed strength. Just remember the scene where he saved the man's life in Sherlock's recount of "the bloody guardsman". It was he who told Sherlock what to do and not the other way around. I expect John to stay true to his character, his sarcasm and integrity in series 4, just as he has done so far. 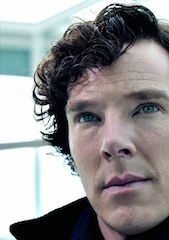 I see him as a deeply honourable man and I would like to continue seeing him this way at the end of series 4. I would like to see John more back with Sherlock solving cases, than another bunch of domestic bliss sequences. We've seen them already and they weren't even that blissful. I have to say as things stand now the one thing I can't see happening in the near future is John moving back in with Sherlock at Baker Street. "When you walk with Sherlock Holmes, you see the battlefield" M.H. "My brother has the brain of scientist or a philosopher, and yet he elects to be a detective...what might we deduce about his heart?" M.H. "Home is now behind you, the world is ahead." I don't want to have the old dynamic back, to be honest. There was nothing wrong with it, but I am so chuffed that the writer took the leap and broke out of the "domestic bliss in Baker street" mould, while still respecting canon. Even if Mary died...I wouldn't want John just going back immediately. I would like that to be a slow process. I would like to see more scenes with John and Sherlock. More sarcasm from John and a bit less drama. I completely understand why he was behaving the way he did in season 3 and I don't mind the expression of emotion (anger included), quite to the contrary. I hope however that in S4 they will give John a little break from coping with dreadfull life events (I'm not holding my breath as we all expect Mary to be killed off). I would also like to see more John and Mycroft scenes. They just made me lough so badly with their confrontations. Agreed, because this is life, people develop and move on, and don't just fall back into old patterns as if nothing had happened in the in-between. That would really seem childish. 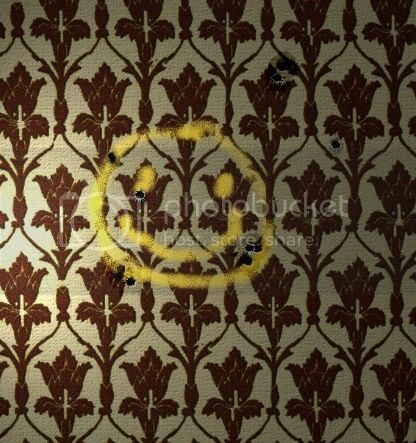 Even if John moves back to Baker St. it doesn't necessarily mean they will just repeat the old patterns. Life can change even if you're in the same place. Depending on what happens in the Mary situation, comfort could be a big factor in John moving back in with Sherlock. Sherlock is his best friend, his family, why would he not seek out said comfort. And Sherlock has changed; I think S3 was the one where he grew up, and in that sense we have moved closer to canon where he was the grown up, Dr Watson somewhat less so. 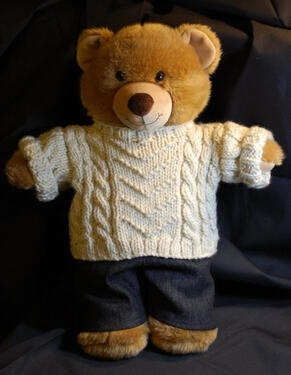 Who wouldn't want to seek comfort in the arms of Sherlock?!? Oh wait, that wasn't exactly on topic. Sorry. Carry on. Sally....and more or less everyone else he ever insulted. Sherlock has a lot of talents, but giving comfort isn't exactly one of them. It only works with John to a certain degree because John is a little bit odd himself...he can't stand traditional comfort, because he perceives it as pity. I suspect that was one of the reasons why he avoided Mrs. Hudson until he could tell her that he was moving on. I don't want to have the old dynamic back, to be honest. There was nothing wrong with it, but I am so chuffed that the writer took the leap and broke out of the "domestic bliss in Baker street" mould, while still respecting canon. But I agree with Willow, now that it´s over anyway I would like their dynamic to become a bit more like in the original stories. Sherlock growing up and not relying on John to act as a parent and guide in social situations anymore, and John in turn more trusting in Sherlock´s judgment and in his good intentions, more the loyal follower like the original Watson.. (not that he wasn´t loyal before, but he also questioned Sherlock´s motives and actions quite quickly and willingly..) Maybe after all that happened he finally comes to realize what Sherlock did for him and that he had valid reasons for acting the way he did.. Eventually everyone will support Johnlock. Apparently John wouldn't. Not even when he thought that both were going to die in the next few seconds facing the bomb. For me this is a very sad moment for Sherlock. You would certainly expect that your best friend would seek comfort, that John would walk towards him, touch him or hug him to face death together. Sherlock knew that the bomb wouldn't go off and he was possibly curious to see what John might do. I see in Sherlock's face a lot of disappointment when John just stands there alone with his eyes closed not looking at Sherlock. Compare that with Sherlock's death scene on the roof. Sorry also not exactly on topic. John Watson in S4 will hopefully part his hair on his right side again. Well, this is a difficult situation because there are still many unspoken things between them. However, what is interesting that in series 3 Sherlock is able to speak about his feelings, even in front of a whole wedding party, and John is not. But this has always been a characteristic. Think of the cemetery scene in TRF. He could only express his feelings when he thought nobody heard him. The moment he gets emotional he tries to distract, turns away, gets angry, whatever. Actually Sherlock is far more open about his emotions than John is. I don't think many people would. lol Not even his close friends. I'm not quite sure if John not seeking physical comfort from Sherlock in the bomb scene is a reflection of the fact that he respects Sherlock's personal space, that he himself doesn't like to be comforted in that way or that their relationship wasn't recovered enough at that point. Maybe a combination of all three. The way he acted somehow fitted with the way I see John operate. To get back to the topic. I would like to see John become a little bit more in touch with his own feelings in season 4 so that he can move on and grow as a character. Needless to say this comment was more about my love-blind libido than anything else. But good points all around. 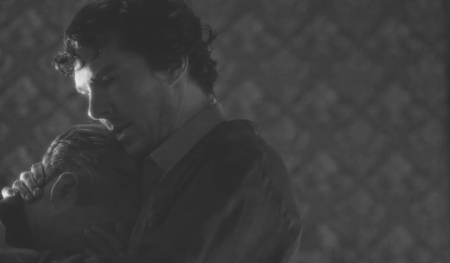 During the bomb scene I never would've expected John to run into Sherlock's arms. He is far too repressed. As it is just getting the words of forgiveness out was a painful struggle. It broke my heart. I know some people were unhappy with John in S3 but I wasn't. I found all of his behavior understandable in the context of what he has been through. My main wish for S4 is just that his bond with Sherlock is fully restored and continues to grow. I haven't yet participated in any of the "big" discussions regarding series 3 because I am, even after 2 month, still a bit confused about some events that happened. Series 3 is for sure the most profound and complex series so far. My opinion on certain aspects is partly still not clear, e.g. Mary. I cannot really make up my mind about her. life again. IMO that mirrored in John's behavior in HLV. 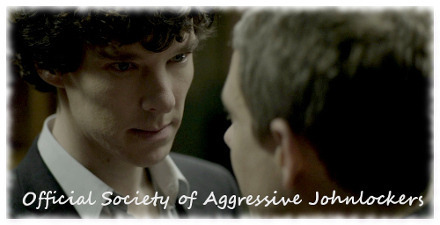 He was more aloof and emotionless towards Sherlock - right from the beginning of the episode their relationship felt odd. If HLV took place right after TEH I wouldn't have issues understanding this development. But there had been an episode in between – TsoT, which radiated so much friendship and love and caring between John and Sherlock - no signs of any open issues between the two men. But somewhere between TSoT and HLV must have been a breaking point in their relationship and it's a bit frustrating not knowing what happened. Does Sherlock withdraw himself from John to let him have his domestic bliss or because he is afraid of being rejected by John (due to Mrs. Hudson's rambling about "marriage will change everything")? And if this is the case, why did John let that happened? I understand that John is a person who is not good with verbalizing his emotions, that he become insecure when confronted with them. Which is part of the reason for the impersonal and tense good-bye scene at the plane. Sherlock definitely was the more mature man here. In HLV Sherlock does everything within his power to kept John's life intact but John is mainly passive throughout the whole episode. I wish for John in series 4 that we will see him reciprocate. 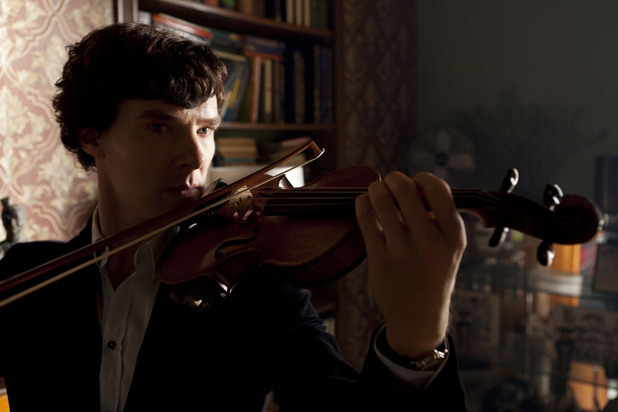 That he will show, how much Sherlock does meant to him, how much HE is willing to sacrifice for his friend. I am not sure what I wish for Mary and their child (I don't feel comfortable judging about the fate of a pregnant women) but I wish that the strong bond between Sherlock and John will be renewed. Sorry, I suppose most of that has already been said, I somehow tried to phrase my confusing thoughts . "There is a place for people like you, the desperate, the terrified. The ones with nowhere else to run."